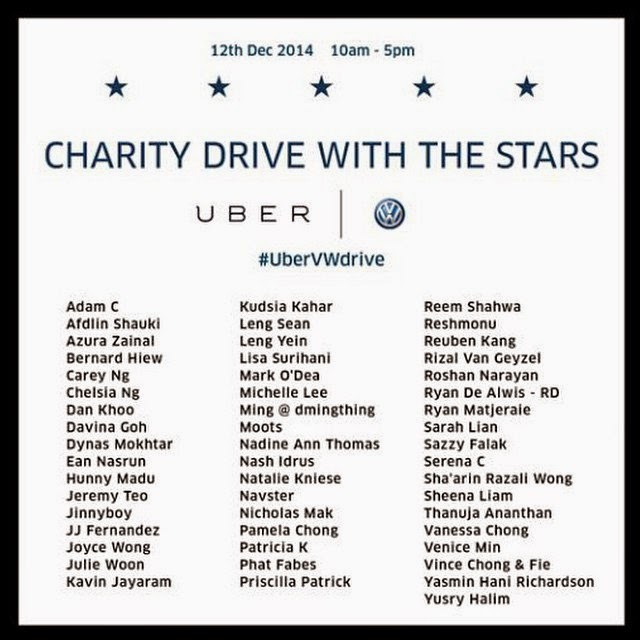 Home / celebs / charity / fundraising / local / malaysia / malaysian / news / uber / volkswagen / Ride Uber with local celebs today! Ride Uber with local celebs today! Get ready to ride in Uber with any of your favourite local celebs today! 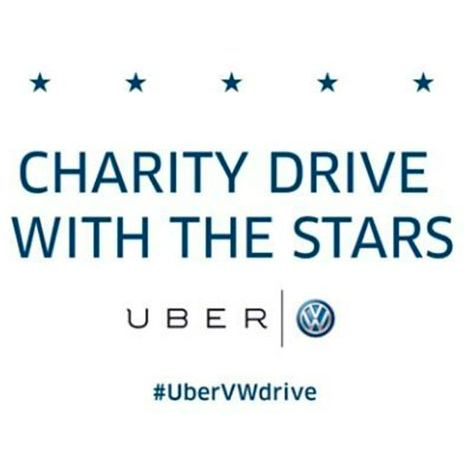 From 10.00am until 5.00pm today, car sharing service Uber has teamed up with Volkswagen Malaysia for a city-wide fundraising charity using a range of Volkswagen vehicles. With 52 of Malaysian celebrities to choose from as your personal chauffeur for the day, the charity program will channel its funds to 31 different charity bodies. The 52 celebs who volunteered for this event will drive for an average time of 4 to 5 hours each with a Volkswagen model of their choice, which include: Scirocco, Tiguan, Touareg, Beetle, Polo, Passat, Golf, Jetta and Cross Touran. First install your Uber app, if you already have the app, proceed to step 2. Open your Uber app, slide right to “UberVW”, set your pickup location and click ‘Request Celebrity’. If there is an available Celebrity Driver near you, you will have a chance to be driven by this surprise celebrity! Demand will be very high with limited availability, so if you don’t get a Celebrity Driver immediately, please keep requesting and don’t give up! There will be a standard donation of RM20 for all Celebrity Drives, with a maximum of 30 minutes per trip (*from Start Trip to End Trip) and a maximum of 3 riders per trip. Note that Uber promotions and credit will NOT count towards your donation. FYI, there is a better chance of securing a Celebrity Driver from areas such as Bangsar, Plaza Damansara, Mutiara Damansara, Damansara Perdana, KLCC Golden Triangle, Bdr Utama / TTDI, Sri Hartamas, Mont Kiara, Publika, Mid Valley, KL Sentral and selected areas in Petaling Jaya. Also, the maximum persons per ride are three.